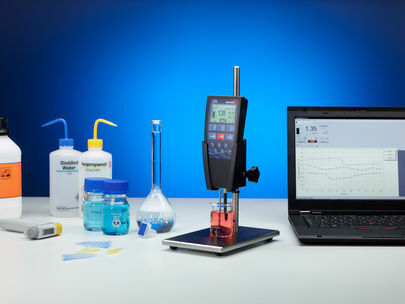 The mobile hand-held Tensiometer measures the surface tension as well as the surfactant concentration easily and quickly in the laboratory and at the production line. It directly shows the measuring results on a comfortable display and alerts the user if defined limit values are exceeded. 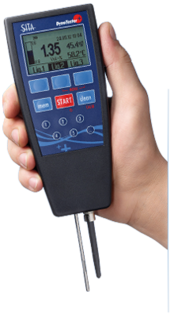 For your security our application engineers advise you, if the DynoTester+ is suitable for your application. Furthermore, we test your samples and develop an appropriate controlling procedure according to your processes. 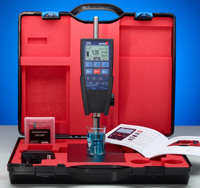 Result: The DynoTester+ optimally supports you in quality control and process monitoring. 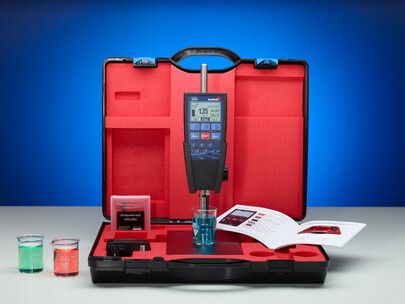 Like all SITA Tensiometer, the DynoTester+ is based on the bubble pressure method for measuring the dynamic surface tension of liquids. The principle of the bubble pressure method is, that an air stream is lead through a capillary into the process liquid. 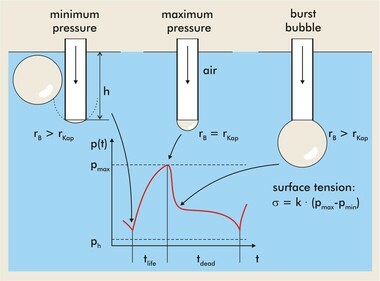 A sensor measures the pressure which is needed to generate a bubble. (more...). Power consumption 2 W max. The Windows-Software SITA-ProcessLog allows an easy control of all functions of the tensiometer with the PC as well as a comfortable management of the saved measuring data. For more information click here [..]. Use our SITA DynoTester+ for your application.